Heels: If class is longer than 1 hour I will work both across the floor technique and choreography. Across the floor technique includes how to walk in a heel, turns, balance, flexibility, performance and floor drills, etc. Each class will consist of a different selection of across the floor technique drills, making each class unique and tailored to the skill level of the class. Following across the floor technique I will teach a choreography to the students that they will be able to perform in groups throughout the last 20-15 minutes of class. I have been teaching for over 15 years and have worked to refine my teaching skills over the years. Therefore, I always make sure to bring more than just steps to my classes. It is very important to me that each dancer leaves my class feeling that they have gained something more than simply learning a new and exciting choreography. My classes are geared towards improving the movement quality of each dancer, as well as push their performance ability in having them connect to the feeling behind the movement and connect to the music. I will breakdown the musicality, rhythms, textures, dynamics and which muscle engagement throughout my classes. Everywhere I teach, I create a positive and encouraging class environment, while also ensuring the dancers are pushed to their fullest extent. Street Jazz/Jazz Funk: Class will begin with a warm up focusing on the muscles that we will be engaging throughout the class. My choreography tends to be very athletic, therefore we will work on warming up and engaging the core, glutes, legs and arms throughout the warm up, finishing off with a stretch. Following warmup, I will teach a choreography to the students that they will be able to perform in groups throughout the last 20-15 minutes of class. The choreography will include elements of jazz and street styles (a strong base in both styles is encouraged as I will not be teaching a technique class. Although I will tailor my classes to any level and will breakdown technique when necessary). I have been teaching for over 15 years and have worked to refine my teaching skills over the years. Therefore, I always make sure to bring more than just steps to my classes. It is very important to me that each dancer leaves my class feeling that they have gained something more than simply learning a new and exciting choreography. My classes are geared towards improving the movement quality of each dancer, as well as push their performance ability in having them connect to the feeling behind the movement and connect to the music. I will breakdown the musicality, rhythms, textures, dynamics and which muscle engagement throughout my classes. Everywhere I teach, I create a positive and encouraging class environment, while also ensuring the dancers are pushed to their fullest extent. Commercial Hip Hop: Class will begin with a warm up focusing on the muscles that we will be engaging throughout the class. My choreography tends to be very athletic, therefore we will work on warming up and engaging the core, glutes, legs and arms throughout the warm up, finishing off with a stretch. Following warmup, I will teach a choreography to the students that they will be able to perform in groups throughout the last 20-15 minutes of class. I have been teaching for over 15 years and have worked to refine my teaching skills over the years. Therefore, I always make sure to bring more than just steps to my classes. It is very important to me that each dancer leaves my class feeling that they have gained something more than simply learning a new and exciting choreography. My classes are geared towards improving the movement quality of each dancer, as well as push their performance ability in having them connect to the feeling behind the movement and connect to the music. I will breakdown the musicality, rhythms, textures, dynamics and which muscle engagement throughout my classes. Everywhere I teach, I create a positive and encouraging class environment, while also ensuring the dancers are pushed to their fullest extent. BIO: Jess Cummings was born and raised in Montreal, Canada. Early on in her dance career, she was given the opportunity to join the crew “Extreme,” with whom she went on to represent Canada at the World Hip Hop Championships (Hip Hop International) winning gold in 2004. After gaining her footing in the professional dance world, Jess began performing in various cities around the globe. One of her most memorable experiences was working with former Cirque du Soleil director and Emmy Award winning choreographer Deborah Brown in the Line 1 Tour, which traveled as far as Beirut, Lebanon. In the summer of 2015, Jess was selected amongst hundreds of dancers to be part of the esteemed Monsters of Hip Hop Show in Los Angeles, California where she performed the choreography of some of the industry's leading choreographers; Tony Testa, Luther Brown, Rhapsody James, Luam, Nick Demoura, Jaquel Knight and many more. They say timing is everything and shortly after the Monsters show Jess received her visa approval, allowing her to move to Los Angeles to pursue her career on a grander scale. 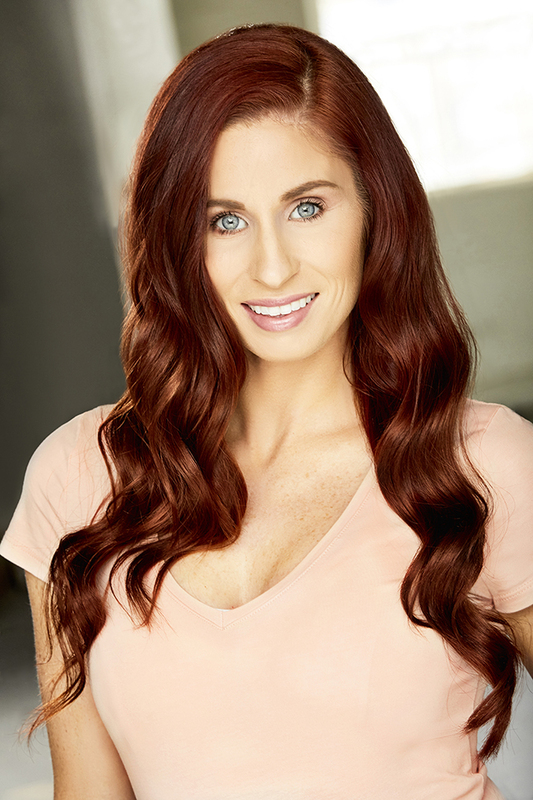 Since moving to Los Angeles, Jess has been featured in commercials for JBL Audio, the NBA Playoffs and Rudy’s Barbershop, and has performed on stage at some of the largest events in the nation including VidCon, We Day California, the FXFS Festival Fashion Show in Las Vegas, and Michael Jordan’s 55th birthday. Jess has also been fortunate enough to work for artists; Cold War Kids, Nytrix, Neon Hitch and more. As an assistant choreographer, Jess has also had the opportunity to assist WilldaBeast Adams and Janelle Ginestra on Disney’s Raven’s Home and the Now United World Promo Tour produced by Simon Fuller. In addition, she has been priviledged to work with some of the biggest choreographers in the industry in the workshop process of many large scale productions, such as Brian Friedman (The Mob Las Vegas), Napoleon and Tabitha Dumo (Jacky Cheung World Tour), Kyle Hanagami (Now United) and WilldaBeast Adams and Janelle Ginestra (2018 Billboard Awards – John Legend and Salt N’ Pepa and the NFL Pro Bowl Halftime Show).